Your Clients Getting Soaked By Moisture Problems? Litigating moisture problems is tough. Actually solving the moisture problem can be even tougher. MoistureFree specializes in solving moisture problems with proven methods and patented technologies. From expert witness work to turn-key moisture solutions. MoistureFree provides the expertise necessary to analyze and solve the toughest moisture problems along with the only 5-Year third party warranty in the business. 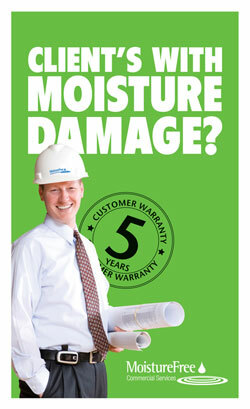 If your client needs help winning a case or solving a moisture problem, call MoistureFree today. Leaky Windows? We Have Cost Effective Solutions. Windows are the #1 cause of moisture problems in buildings, and usually the toughest. Poor design or installation of widows can haunt a building for years. 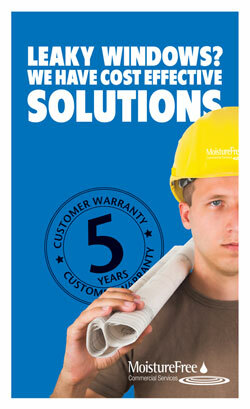 MoistureFree has solved tens of thousands of window leaks nationwide...we can solve yours. 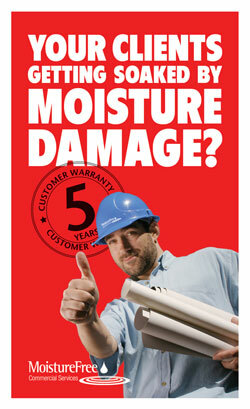 It's the #1 problem that damages buildings...moisture. MoistureFree has solved thousands of moisture problems nationwide. With patented solutions and cost saving methods, your client's moisture problems can be a thing of the past. Moisturefree is your one-stop shop for all of your exterior moisture problems.